There's no place like home - except for this cozy RV! It can sleep up to 4 people, and the master bedroom's Queen bed rivals the one at home! 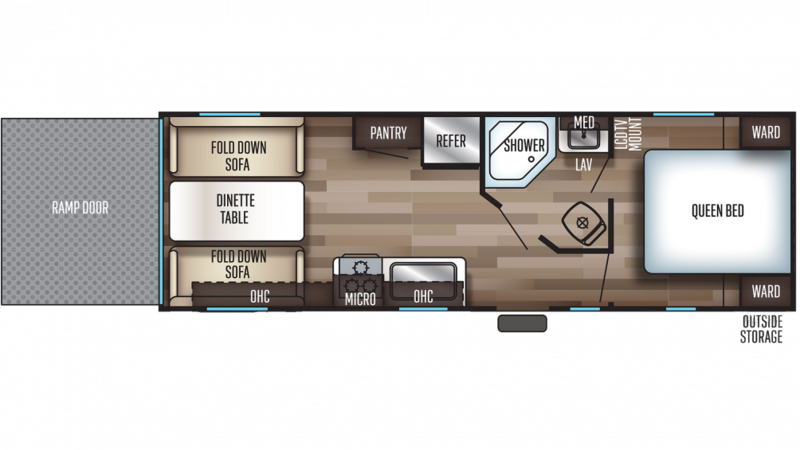 There is a garage inside this RV, and its length of 12' 9" allows you to store your biggest, favorite toys! With a cargo capacity of 2815 lbs, even your heaviest storage can make the trip!